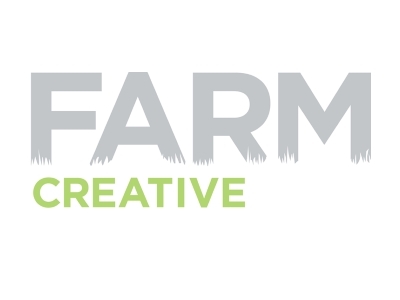 Farm Creative has grown as a creative, design and integrated marketing agency with a small team of four and we’re passionate about creating high quality work that delivers profitably for our clients. Working from a dairy farm in Bilsborrow, Lancashire, Farm Creative naturally supports rural diversification, agricultural, equine & tourism businesses, but that doesn’t mean we don’t like working in the commercial & industrial sectors. We create honest working relationship with all of our clients, in many cases acting as an external marketing department. Offering all marketing services under one roof, we work hard with each and every client, large and small to ensure we deliver the brief we’ve been given. After five years in business we have a pretty strong portfolio from working in a variety of industries to B2B and B2C audiences: Agricultural, Construction, Education, Equine, Exhibitions/Events, Tourism, Food & Drink, Hair & Beauty, Manufacturing, Professional Business Services, Retail and Veterinary. As you can see from our portfolio, we might only be small but we can deliver big results! One top tip that we would give a business owner embarking on a growth plan would be, always keep your end goal in mind. Everything you and your team do should, in some way, drive you towards that end vision and make sure you have the right team in place to achieve your end goal. Lancashire is full of creative and hard working people who have contributed towards the diverse range of businesses that are currently thriving and continuing to grow in the region. There are fantastic transport links that make Lancashire a great hub for businesses, as it’s easily accessible and travel for business is never an issue. As a small Lancastrian business, it’s important for us to support fellow businesses and help companies succeed throughout our local area by providing work that will allow them to thrive, and Boost Business Lancashire is the perfect platform for us to do this.